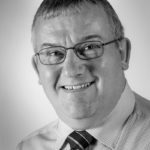 Richard joined the team in 2016 and brings with him a wealth of experience of world-class manufacturing environments, from both the aerospace and automotive sectors. Immediately before joining WLP, Richard spent six years as a manufacturing specialist with the government’s Manufacturing Advisory Service. During this period, Richard supported over four hundred manufacturing businesses throughout the region with guidance and practical support on a wide range of topics, including Lean manufacturing, management systems, strategic planning, change management and business excellence.